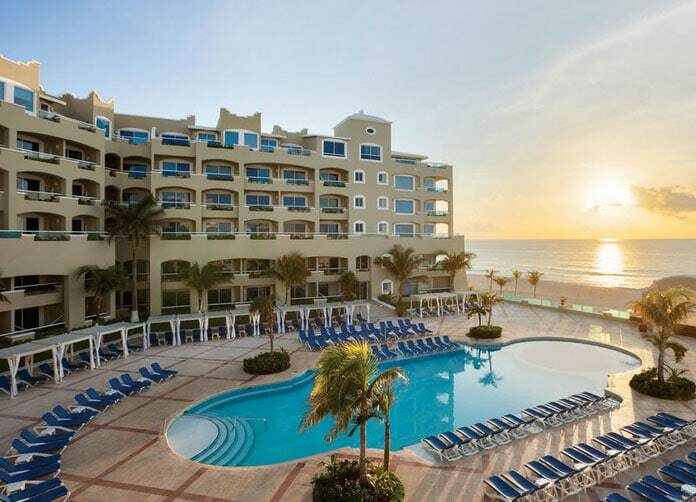 The excellent chain of Caribe Resort & Spa comes out on top again with the Gran Caribe Real Resort and Spa providing you with a one stop ultimate vacation destination. Unleashing superb service and combining an outstanding view of the Caribbean on either side; your vacation search begins and ends with your very own personal paradise. Maintaining such a reputation takes time and dedication, and you’ll see it all shine through with their 9 different room styles to choose from and their world class Concierge service. 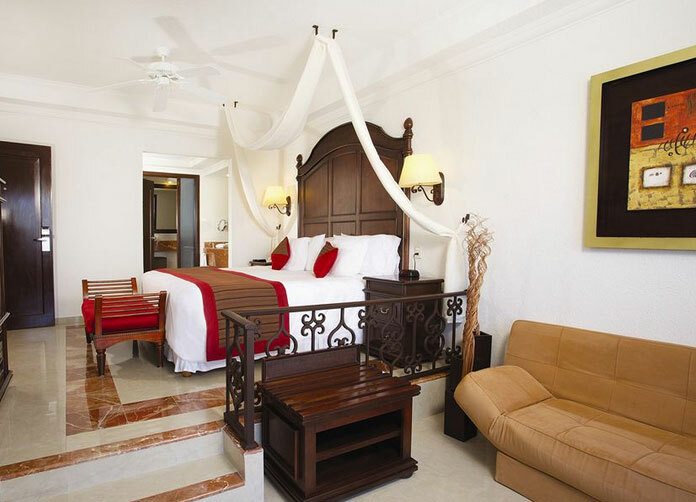 Everything from their Junior Suite to their Gran Junior Suite with Beach Front Walk Out, all the way to the Gran Presidential Suite with Ocean View, or Ocean Front you’ll find the right room for you and yours. From a taste of the luxurious Titanic comes a soft room with delicate colors to the Gran room surrounded by an array of sliding glass windows in a 180 degree fashion you’ll never want to leave. Having enough features to blow you away is just one of the many reasons the Gran Caribe Real uphold their great rating, from their prestige Pool to their amazing spa and massage packages you’ll find relaxing here will be the easiest thing you’ve ever done. Enjoy the tennis court and fitness center available to you, or have fun in the games room or squash court. If you brought the kids along, take them to the Kids Club that will provide them the break they deserve (from all that hard work they do playing around, of course), and they’ll have the time of their lives while playing with toys and doing crafts and activities that will keep them entertained all day long. Planning a wedding? 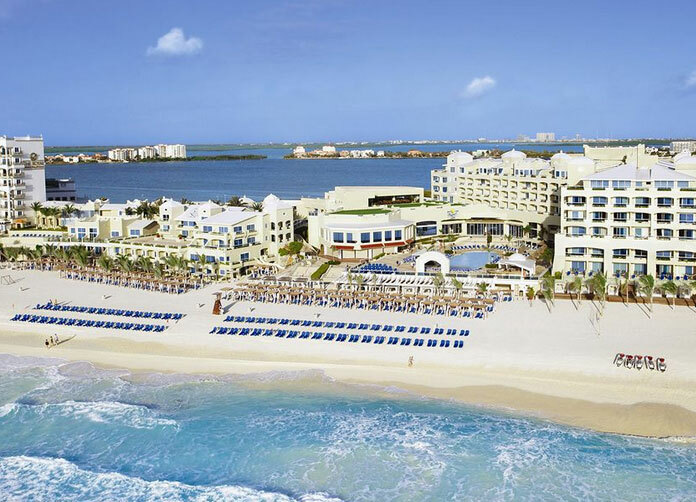 Look no further, the Gran Caribe Real Cancun takes your wedding as serious as you and yours. Providing a gorgeous setting that will truly make your magical day unforgettable for all who attend, as the sun sets amongst the horizon of the Caribbean you’ll be astonished by the great mixture of white tables and chairs against the blue Caribbean and the orange hue of the fading sun – all while the Caribbean wind brings truly exotic senses to your nose – the only thing that will be more beautiful, is her. 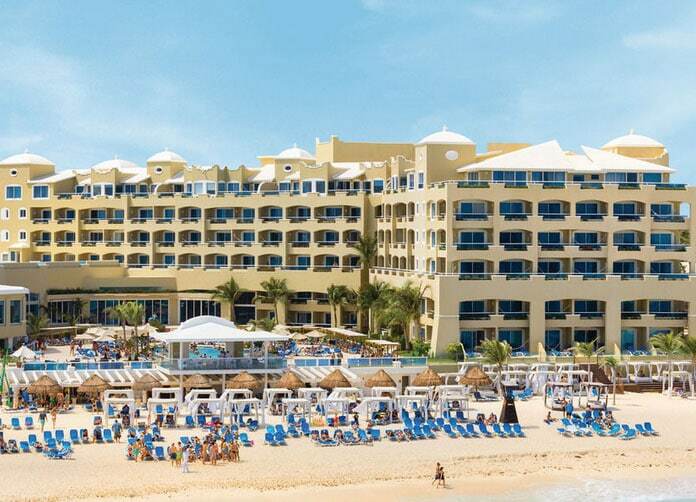 Providing one of the best-in-class All Inclusive packages you’ll have a taste of everything from a low calorie vegetarian cuisine, snacks in pool and beach areas, self serve snack bar in the new 24-hour Inclusive Club, also a la-carte and buffet service for breakfast, lunch, and dinner. Domestic and selected International drinks, unlimited alcoholic and non alcoholic drinks, self service bar and an in suite mini-bar stocked with soft drinks, beer and water. You’ll also be treated like royalty with all the activities to choose from; ping pong, darts, billiards, introductory to scuba lessons in the pool, Oki Kids Club with supervised activities all day (which we discussed earlier), a T-Zone Club and games room for teens, regular entertainment all day and night, and the list goes on and on. 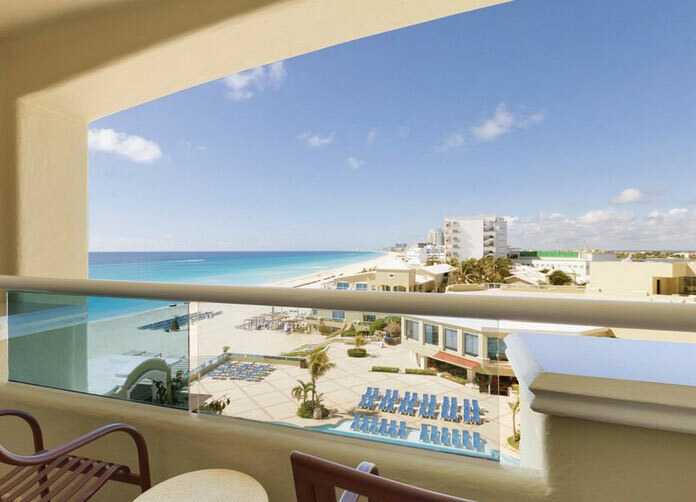 You’ll never be left with a sense of boredom as you take advantage all that this Cancun Resort has to offer. 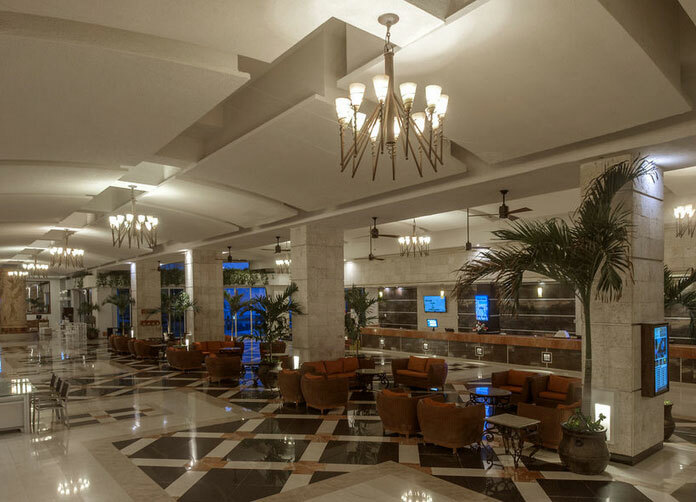 With their many bars including a Health and Sushi Bar right on the beach and a great Lobby bar with an amazing view of the ocean; wondering where you can kick back yourself and have a few drinks won’t be that difficult at all. To dine, for one who has been treated like royalty all day, you’ll fit right into their excellent restaurant choices. Albatros: A great place to enjoy good food, since buffets are great and different every day. 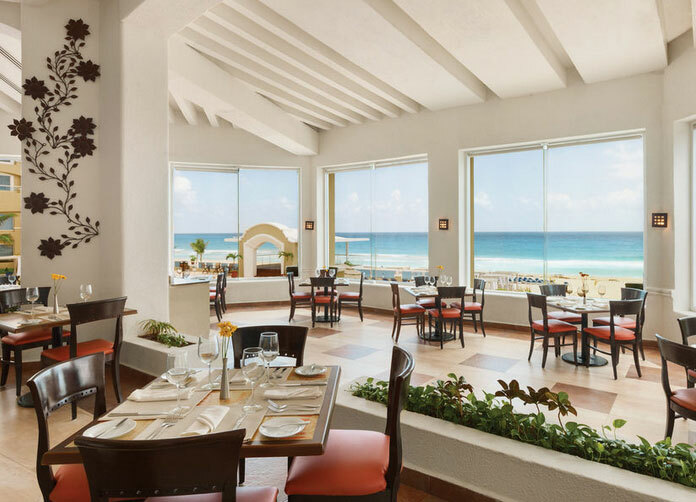 Gaviotas: Indulge in a great choice of foods for breakfast, lunch, and dinner with a touch of excellent Mexican snacks and beverages. Marias: This calming atmosphere with sleek and unique live Mexican music will add the icing to the cake on your special day. This romantic restaurant will provide an excellent a-la-carte service with a traditional food and drink menu. Address: BLVD. KUKULCAN KM 11.5 ZONA HOTELERA, Hotel Zone. Cancun, Quintana Roo. Airport Distance: 40 Km. (25.00 Mi).